Leading Manufacturer of heavy duty paper shredder rental, hard drive shredder rental, hard drive degausser rental and industrial shredder rental from Mumbai. We have available all type of shredder machine for shred paper, Plastic, metal, cardboard, and Electronic Product etc. We provide following shredder machine for rent with effective cost. 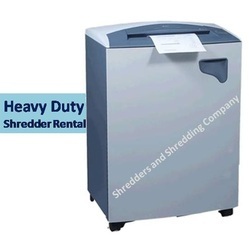 We provide Hard Drive Shredder Machine on Rent without any complication just only one step away to get. Contact with our professionals and get shredder on your location. We always available to help you. We provide Hard Drive Degausser on Rent in Mumbai with effective cost without any delay. 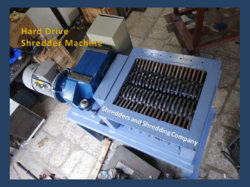 We have available all size of Industrial shredder machine with the effectiveprice. We also provide the Industrial shredder on the Rental basis.